WELCOME TO HolidayFest TN! Now in our 12th year, HolidayFestTN.org is the place to gather friends and families and plan your holiday and Christmas activities in and around Sumner County from September thru December! Here, we bring together the Sumner County community, its people, businesses, government, and service organizations in a celebration of Community, Tradition, Charity, Creativity and Literacy. Last year, we were able to support so many wonderful organizations like two new charities to our calendar who greatly benefitted from the fun; Mary’s Magical Place and Salvus Center. And Sumner County, this Holiday Season is shaping up to be even BETTER! HolidayFest is proud to present you with over Two Dozen events planned for the 2018 Holiday Season! From Holiday Parades to Local Shopping Extravaganzas, to Concerts, Galas, and of course Breakfast with Santa all organized by local businesses, organizations, and non-profits. Your family and friends are sure to be delighted! Find your favorite events, or start a new tradition by searching our EVENTS CALENDAR by date, or title. Then, click the link for details including location, time, and description. 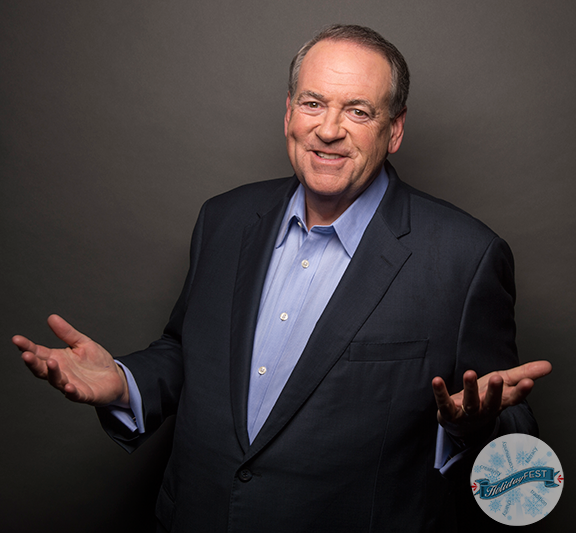 This year, we are proud to announce our HONORARY CHAIR, GOVERNOR MIKE HUCKABEE will be leading the festivities! So, let’s get started and make this the best holiday and Christmas season EVER! VIEW OUR 2018 HENDERSONVILLE CHRISTMAS PARADE. CLICK HERE!